“Cissy” is wearing green to celebrate, but it was not always the color of choice. Originally, blue was the color of the holiday. By the seventeenth century, green started appearing, and in the eighteenth century, the Irish military started wearing green uniforms on March 17 to make a political statement. In Ireland, some adhere to the tradition of Catholics wearing green and Protestants wearing orange. Pantone's green PMS 347 is the official color match. Saint Patrick’s Day 2019, and “Cissy,” as debutantes want to do, has brought “Puppy” with her to her salon to tint him green to coordinate with her appearance at the Saint Patricks fashion parade. “Puppy,” the true showman, knows the value of a big entrance and picks out the green bow to set off his eyes. 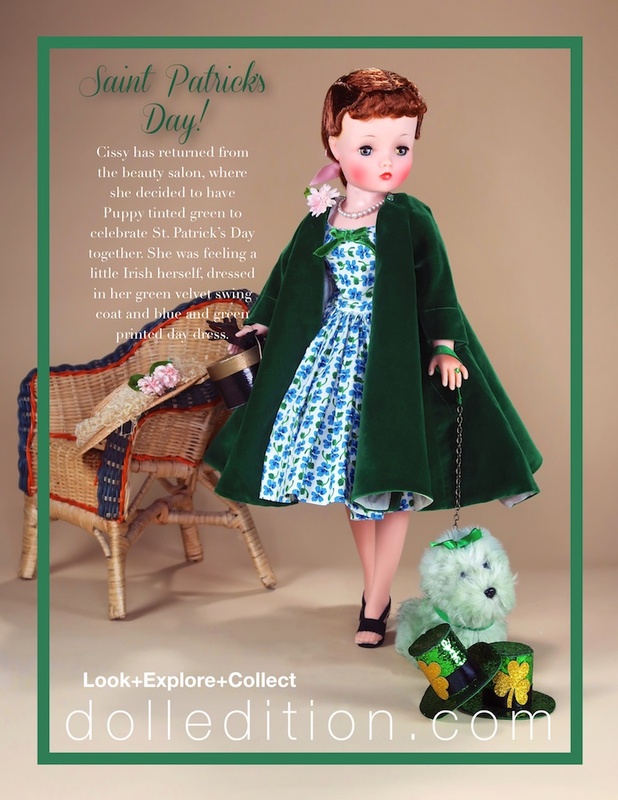 “Cissy” (a 1958 Basic doll) is wearing her green velvet 1956 swing coat with corsage (accented by a stunning straw cartwheel hat with veiling and flowers matching the one on the coat) and a charming floral blue and green 1955 pansy print dress with a matching green velvet bow. Let the festivities (and video) begin! The first St Patrick’s Day celebration in the United States was held in Boston in 1737. In 1762, the first New York City parade took place. With over 150,000 participants, the St Patricks Day parade in New York is the world’s oldest civilian parade and the largest in the United States. And more than 3 million spectators line the parade route which is 1.5 miles long. The parade takes more than 5 hours to come to an end. The real St. Patrick wasn’t Irish. He was born in Britain around A.D. 390 to an aristocratic Christian family. At the age of 16, St Patrick was kidnapped and was taken to Ireland. He was kidnapped by a group of Irish raiders who were attacking his family’s estate. He worked there for 6 years tending sheep and then escaped and became a priest. 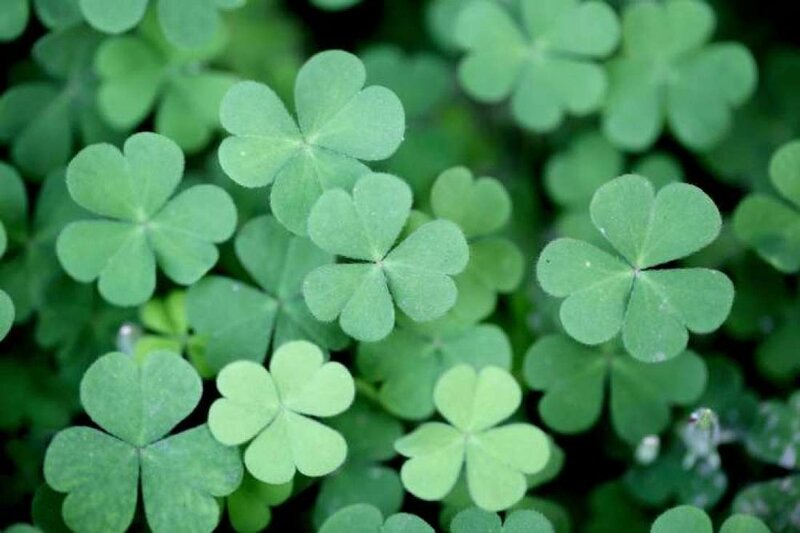 Four-leaf clovers are indeed rare - 10,000 regular three-leaf clovers to a four-leaf clover. Legend says that each leaf of the clover has a meaning: Hope, Faith, Love and Luck. Barbie is turning 60 – but she hasn’t aged a day since she first arrived on the scene. 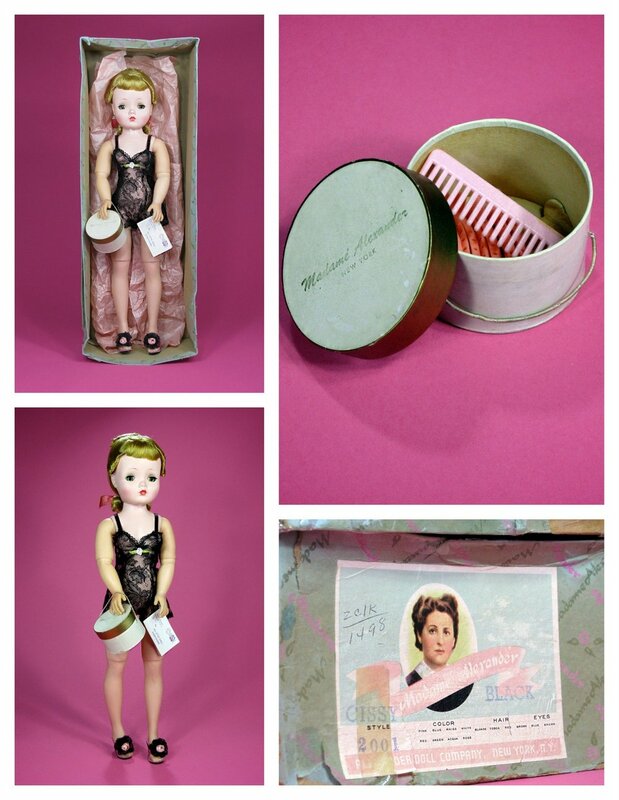 For many, she is still the blonde, blue-eyed and impossibly thin doll created by American businesswoman Ruth Handler back in 1959. Then, Barbie was considered revolutionary, as the first adult doll on offer at a time when baby dolls that allowed girls to pretend to be mothers dominated the market. Industry experts given the first glimpse of the new Barbie doll at the American Toy Fair were sure it would be a flop, but Handler quickly proved them wrong, with over 350,000 sold in the first year alone and sales reaching $2million by the early 1960s. “We looked at diversity in every aspect – ethnicity, body type, types of fashion that she’s wearing – so more children in the world see themselves reflected in the brand,” Kim Culmone, Barbie’s senior vice president of design, tells Vogue. 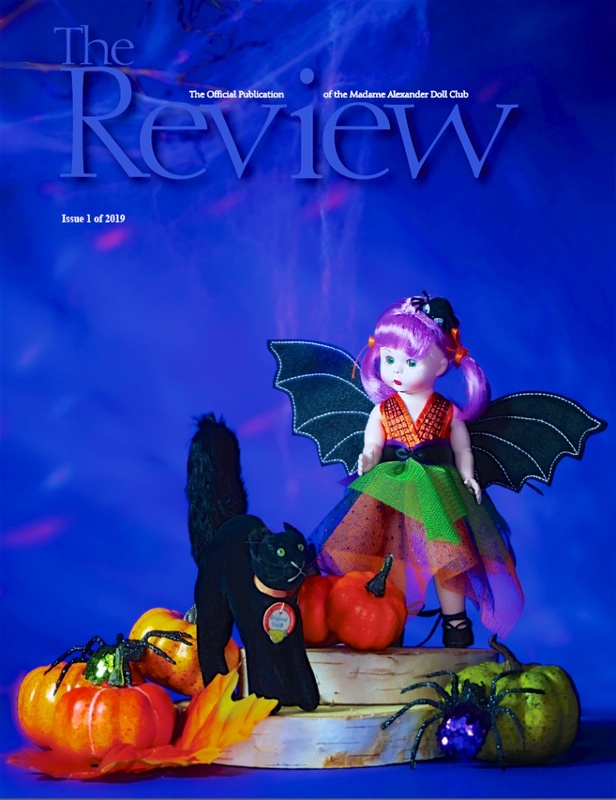 THE REVIEW Magazine of THE MADAME ALEXANDER DOLL CLUB features the 2018 Fall Friendship Luncheons (Halloween theme) and articles by Florence Theriault and Rodney Waller - both articles highlight the upcoming Waller Collection Auction Part 2 in Naples Florida March 17, 2019. Join the MADC adventure and become a member! 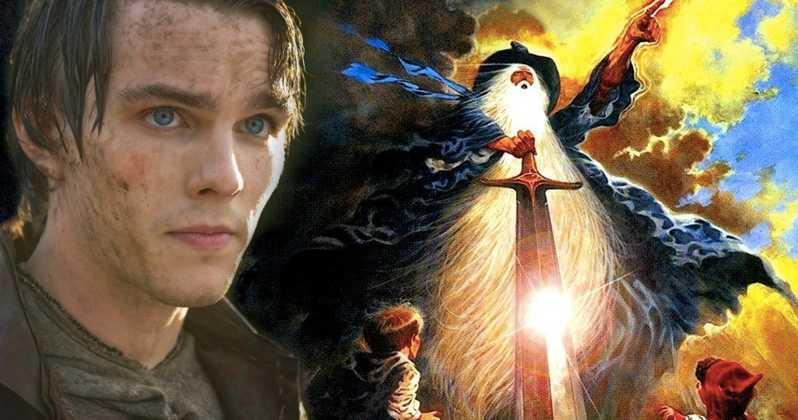 Fox Searchlight and Chernin Entertainment have set a May 10 release date for biographical drama Tolkien. 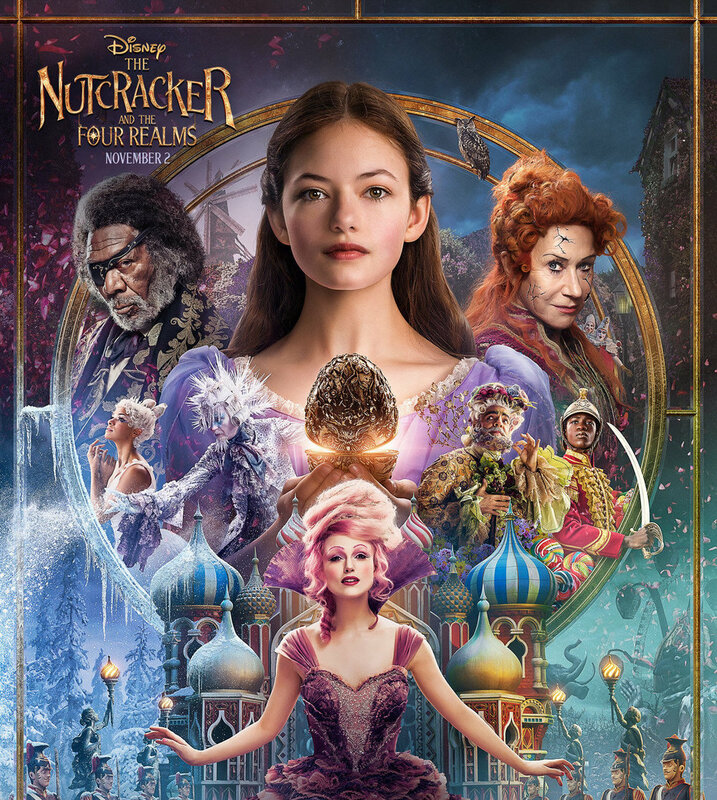 Directed by Finnish filmmaker Dome Karukoski, the film stars Nicholas Hoult as J.R.R. Tolkien, the celebrated author and English professor whose body of work includes the Lord of the Rings and Hobbit series. 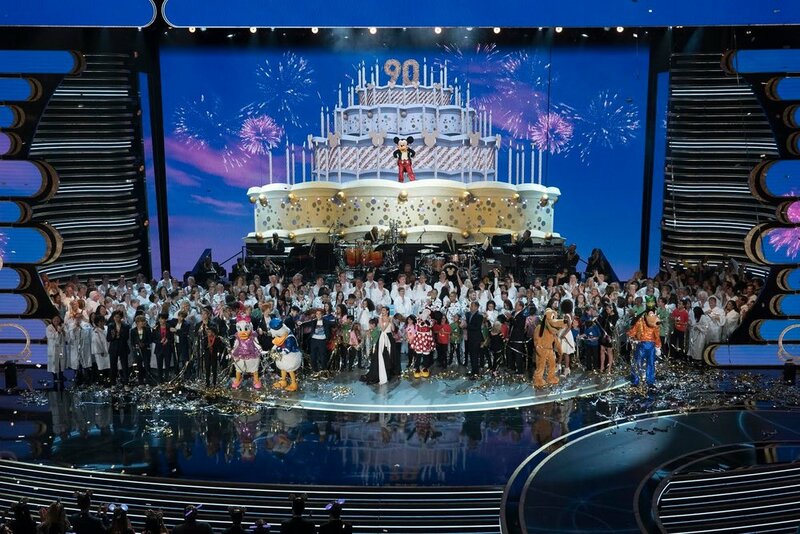 Searchlight will become part of the Disney empire once the Disney-21st Century Fox merger closes in the coming weeks. Cissy takes a moment to join us, to both celebrate Valentine’s Day 2019 and Valentine’s past. Valentine’s Day 2019 is here again… yes, we made it! It’s a notation of mystery and romance that has served time and generations to just be there - available if so desired. 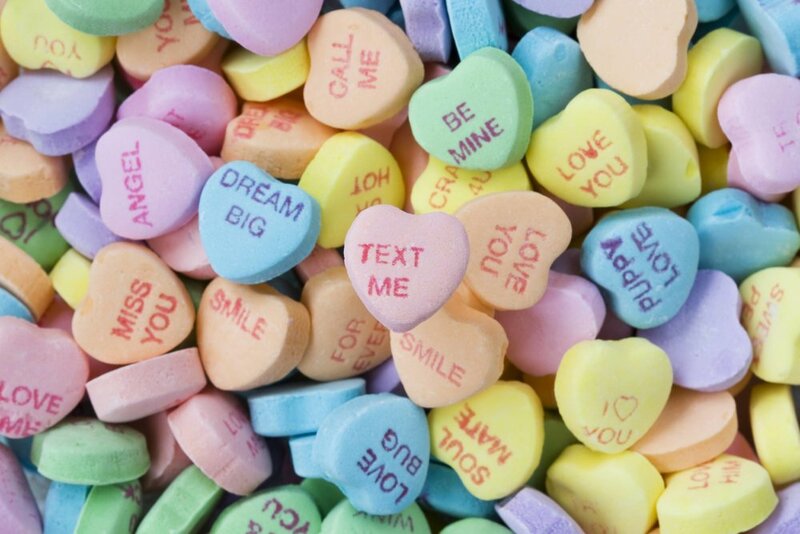 The history of Valentine’s Day is long and involved with the Roman’s, the Catholic and other churches and a few Saint’s. Over the centuries, the holiday evolved, and by the 18th century, gift-giving and exchanging handmade cards on Valentine's Day had become common in England. Hand-made valentine cards made of lace, ribbons, and featuring cupids and hearts eventually spread to the American colonies. The tradition of Valentine's cards did not become widespread in the United States, however, until the 1850s, when Esther A. Howland, a Mount Holyoke graduate and native of Worcester, Mass., began mass-producing them. Now, it’s the number one card-sending holiday in the world. Cissy could not be more delighted - any excuse to be out of the box and sharing with friends, collectors and admirers! Stepping out, Cissy wears a red faille circle skirt with a white top with rose accents… vintage candy boxes and memories galore. The story of Cupid's life is one of myth and legend dating back to ancient Greece and Rome. His role in history continues today as the mascot of Saint Valentine's Day. 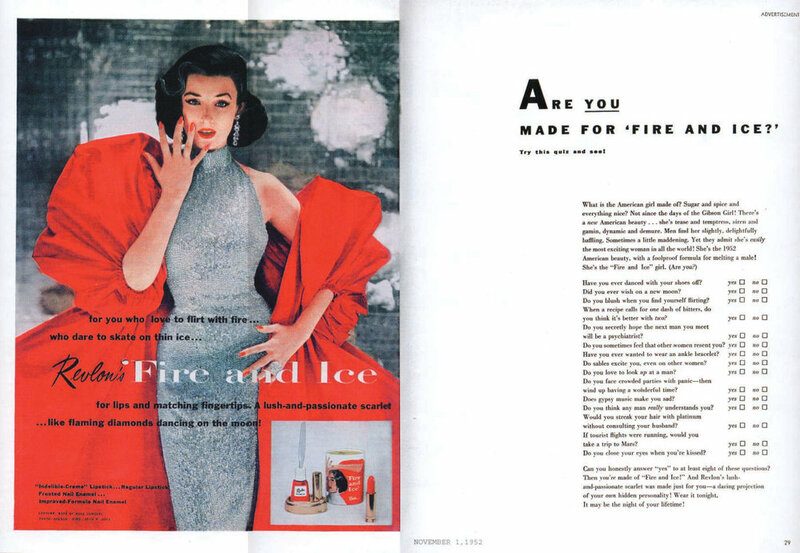 Fashion and passion… Revlon 1952, it was all about “Red” - the color of love. As well as featuring looks designed by Christian Dior, the exhibition will feature work from the designers who followed him at the house, including Yves Saint Laurent, John Galliano, Raf Simons and the incumbent, Maria Grazia Chiuri. The exhibition is the V&A’s largest fashion-themed exhibit since 2015’s Alexander McQueen retrospective. 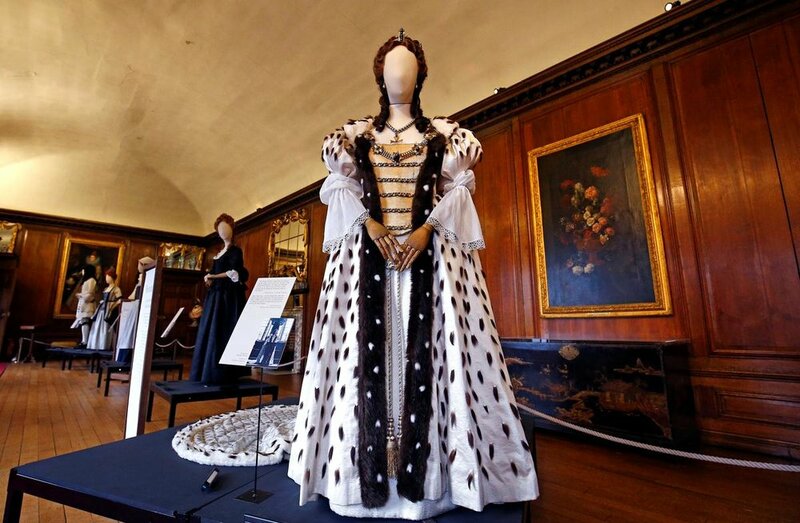 View costumes created for Olivia Colman, Emma Stone, Rachel Weisz and other cast members of The Favourite, and learn more about the history behind the film, in the Queen's Gallery at Kensington Palace this winter. They are celebrating together, looking beautiful and making a statement! 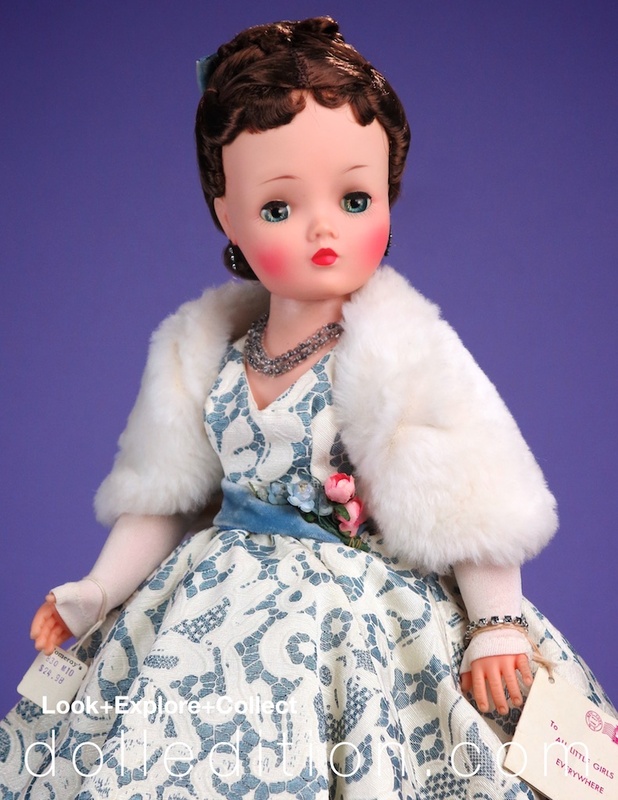 It’s the world of the mid-century fashion doll… what more can I say? These Cissy’s are rarely out (of the box) and seldom get to mingle. But here they are and what an event! Fashionable as a fashion doll should be, Cissy 1960 No. 2184 is a cloud of tulle and taffeta representing her new status as luxurious portrait doll of the glamours 1960 “The Portrait Series.”In the center, Cissy 1955 No. 2100 is in an elegant torso gown very popular in mid-century fashion. The decolletage of this gown is quite beautifully constructed and continues the flaring lines of the gown. Cissy 1957 No. 2172 on the right is the epitome of “opening night of the opera,” with the gown, fur, gloves, and jewels. 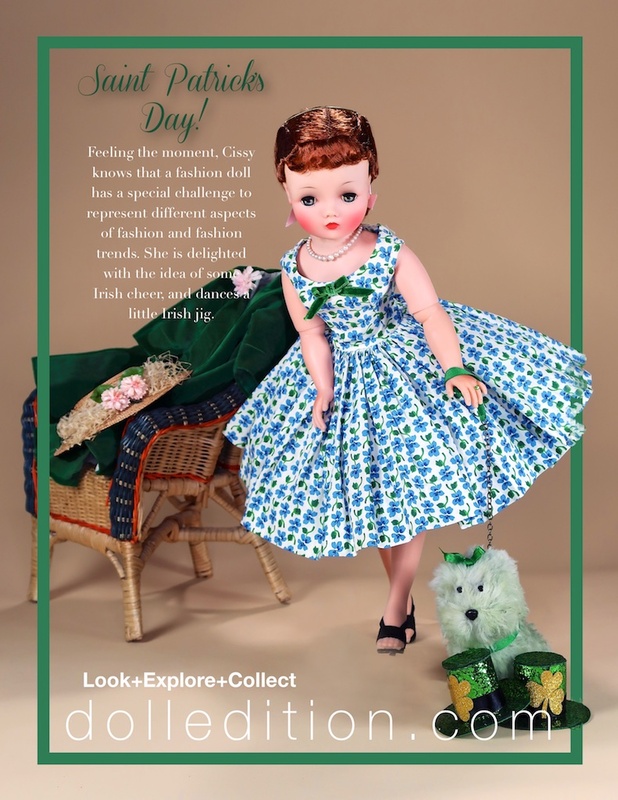 It was another time, another moment of fashion and another era of dolls… 21” fashion doll Cissy by Madame Alexander exploded out of the 1955 New York Toy Fair. In Victoria Season 3, premiering Sunday, Jan. 13, 9/8c on MASTERPIECE on PBS, it is 1848, and revolution is breaking out across Europe. In Britain, one woman stands between order and chaos: Queen Victoria. Victoria Season 3 introduces fascinating new historical characters, including Laurence Fox (Inspector Lewis) as the vainglorious Lord Palmerston. Also vexing the queen this season is Kate Fleetwood (Harlots) as Victoria’s devoted but troubled half-sister. Sold to Carolyn Barry for $333,500 by Theriault’s - Now in the Barry Art Museum’s collection. One Year ago: Theriault’s auction house, sold a 19th-century French doll created by Antoine Edmund Rochard for a record $333,500. The buyer: Carolyn Barry, a doll collector who, with her husband, Richard, created the Old Dominion University’s new Barry Art Museum, which opened in October of 2018. 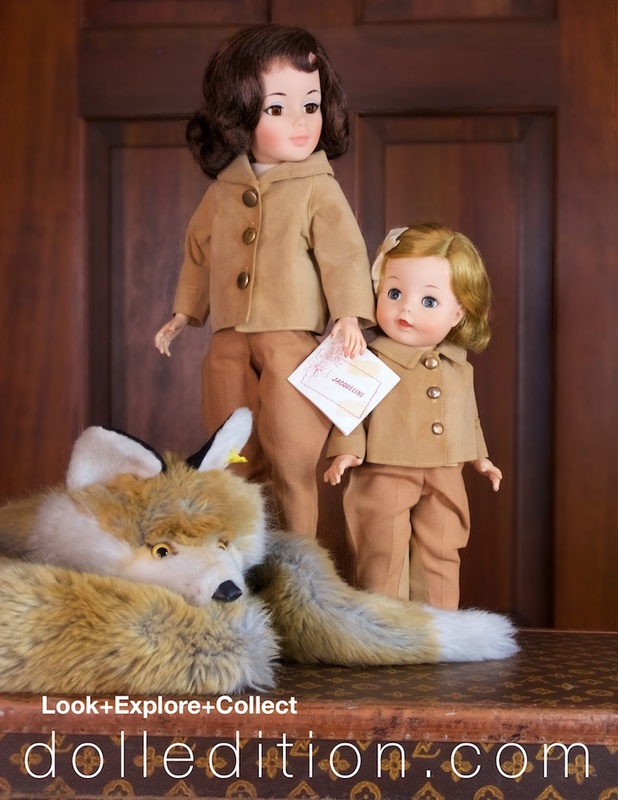 She has given 81 dolls to the museum, and in January she had set out with a purpose: to add the Rochard doll. Pale, delicate and elegantly dressed, the 30-inch-tall Rochard doll is unlike any of its porcelain contemporaries, said Theriault’s president, Stuart Holbrook. Soft cotton dress with 3 buttons in front. Wider Val lace forms an apron front design and is also used at the dresses armholes. This Basic 1958 Cissy is dressed in this checked blue and white 1958 apron front shirtwaist dress. Madame Alexander had used this check for Cissy once before in 1955, but with puffed organdy sleeves. A 1950s woman had to look elegant and not exhausted by housework. New inventions in house cleaning and cooking appliances made her day more manageable. Looking untidy was not acceptable, or so she was told over and over again by TV, radio ads and newspapers. The full skirt (5 yards at least) of gathered fabric with a thin petticoat underneath "made it easy" to move in, change bed sheets, make dinner and tend to children. The button down bodice shirtwaist was the prime style of a house dress. It had been around for years, but the 1950s woman made it her signature day dress. It's a peaceful moment for Cissy as she takes a break from her busy schedule to enjoy some time on the garden swing. The cotton day dress was one of the staples of extra boxed clothing developed by Madame Alexander for Cissy. Gingham was a very popular print for the 1950s day dress, and perfect for spring and summer, and was available in any number of colors. "Cissy" is reviewing some of her many lingerie options provided by Madame Alexander while wearing a black lace lingerie set and black organdy and tulle slip. While the attention to what a fashion doll wears is often the top layer, it all start's at the beginning few actually see. 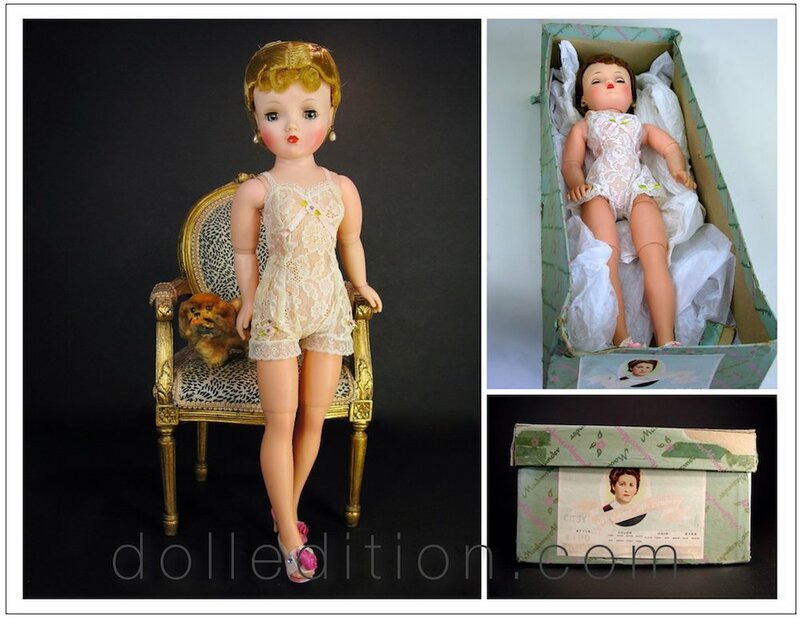 The mid-century fashion doll "Cissy" was a reflection of a new decade of a particular silhouette that had to be shaped and controlled by an understructure of garments and lingerie so that the clothes worn would have the desired effect. The boxy, practical and comfortable 40s was out. Ultra feminine looks and structure in garments for various activities that reflect how the "modern" women should dress. 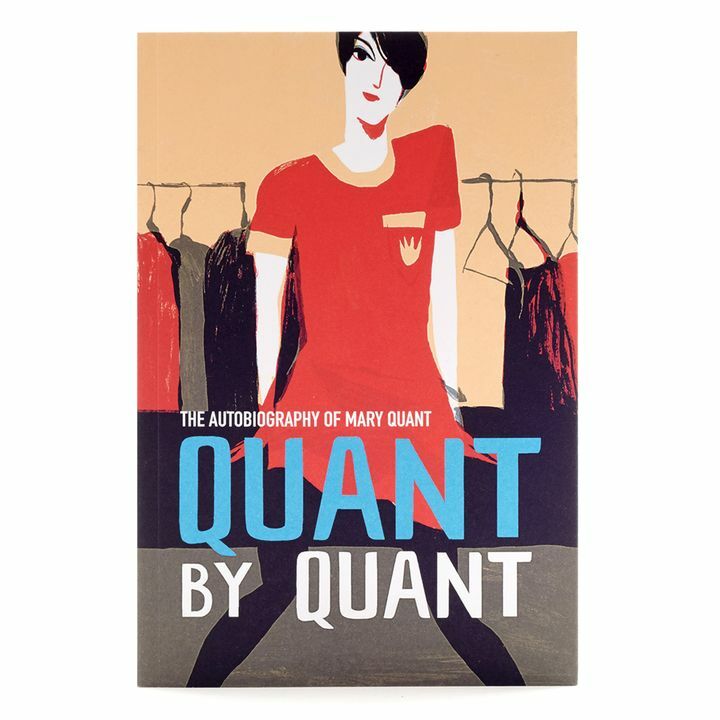 Formatted construction and design would also change the themes 1930s and 40s fashion designers like Schiaparelli and Chanel who both promoted new practicality and versatility of fashion for designers like Dior whose concept demanded control to achieve a particular shape. "Cissy" takes a moment to think fashion while wearing this rare tagged set of black lingerie. Besides the many ensembles "Cissy" wore on her arrival out of the box, she also was produced as a "basic doll," presented in lingerie that changed slightly each retail season. Featured here on dolledition.com is a three-piece lingerie ensemble consisting of a tagged shear black slip and black lace bra and matching undies. Part of the function of a mid-century fashion doll was to teach little girls how things worked and how it all came together. After all, for little girls growing into young ladies, one of the most important parts of her life would be the art of looking the part. Basic "Cissy," both mint in box for 1957 No. 2100 and 1958 no. 2200 - each are wearing off-white lace chemises. Basic "Cissy" in a variation of the 1956 No. 2001 - in a black lace chemise. "Cissy" mint in box No. 2101 Basic wearing a corselet — the box number may indicate a variation of the 1957 No. 2100 Basic "Cissy" in a lace chemise. Two versions of Cissy 1955 No. 2097 in both blue and silver satin gowns for 2008 THE REVIEW article. I first wrote about the Charles James touch in Cissy's fashion in 2008. A new book, "Charles James Portrait of an Unreasonable Man," published March 20, 2018. 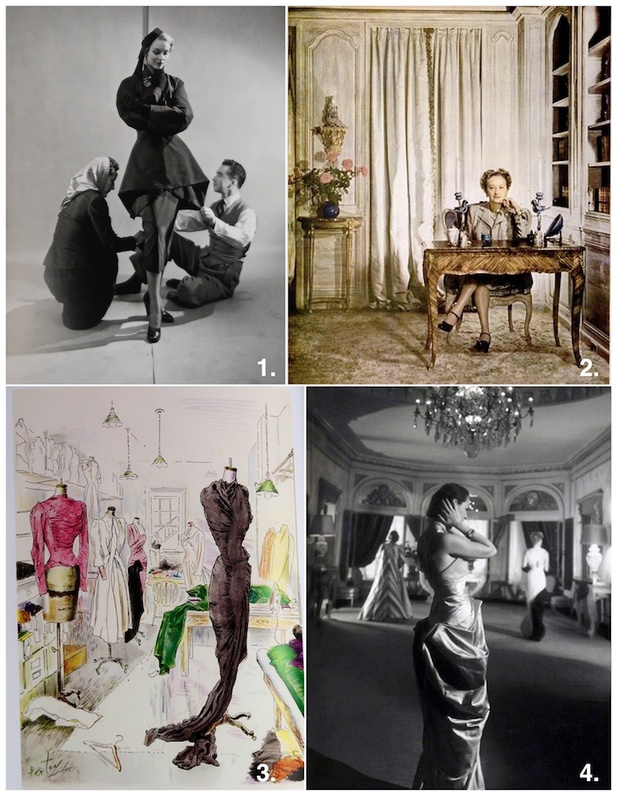 While dolls and Charles James is a bit of a stretch, he was a significant American influence in women's fashion even before Christian 1947 Dior's "New Look." By the time Cissy is introduced in 1955, Charles James was at the pinnacle of his innovative design and unabashed self-destruction. 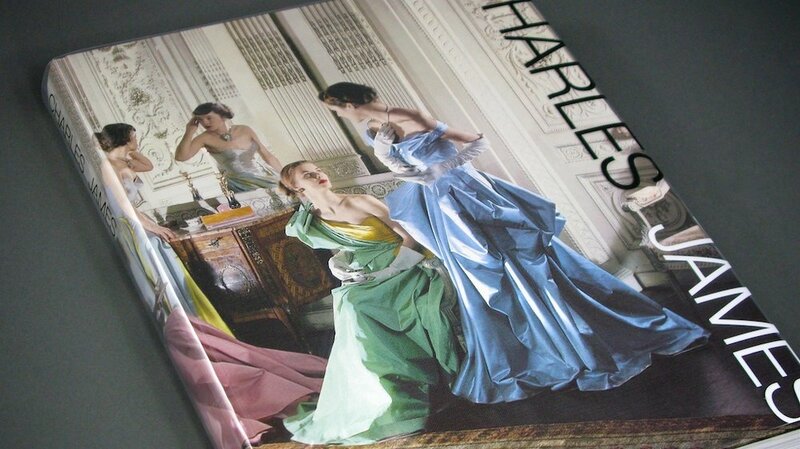 The book is a mesmerizing study of the life, visionary design, and career of Charles James. The twists and turns are unlike any other of the celebrity fashion designers coming mainly from the Paris runways. American Charles James was a product of European fashion houses. He returned to America during World War II. Many Parisian designers ousted by war, temporarialy located themselves in New York City. Charles James arrived with both his Paris credentials and superb American contacts to achieve a remarkable high fashion presence. Charles James was the only mid-century American to have these couture credentials. Talent, circumstances, and timing all smiled for James in the 1940s through the early 1960s. While the book is full of jaw-dropping detail and backstories of the Charles James story, one of the earlier events is particularly interesting. When Charles James returned to New York City in 1939, fate would have it that Elizabeth Arden was looking to expand her cosmetic and beauty empire into fashion. This was partly due to the undisputed queen of American high style, Hattie Carnegie (Lucille Ball was an earlier in-house model,) announced she was getting into the cosmetics business. Elizabeth Arden connected with Charles James, and in 1942 the magic began. Elizabeth Arden gave James a free rain to create his vision. His vision was costly and relentlessly demanding. The beginning of the end was the vast overruns on the new second floor showroom that was continually being reimagined. Magic turned into a war on a Machiavellian level. Charles would leave Arden in 1945 and go on his own. 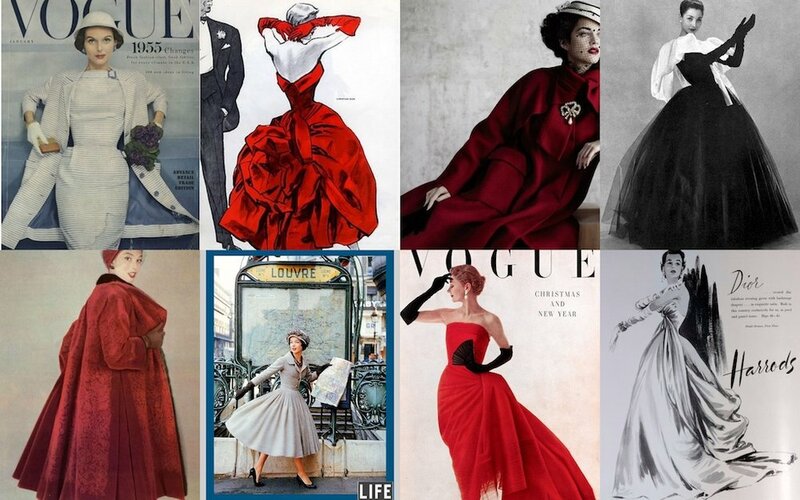 Charles James would open and even more costly showroom, create some of the most expensive and painstakingly crafted garments in the world and collect the most exclusive society clientele of the era. 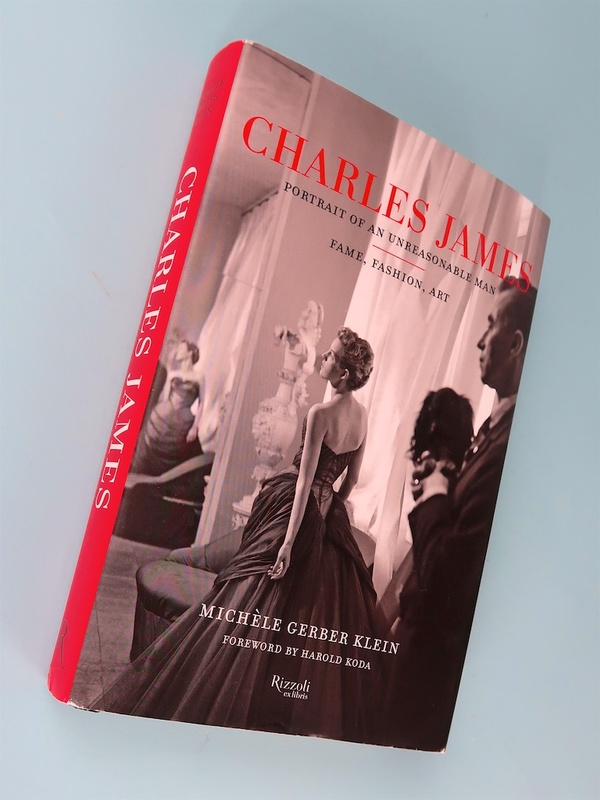 Above and beyond the manic self-destruction, financial crises, betrayals, the vision and creative passion of Charles James are both thrilling and inspiring for aficionados of couture and of the glamor and drama of the fashion world. It does not get much more enthralling than the grand, but wretched story of Charles James skillfully presented by Michèle Gerber Klein. 1. Charles James 1948 designing. Charles James is often called the only true American couturier; Charles James (1906-1978) was the first couturier to debut for Arden’s Fashion Floor. 2. American Fashion Queen Hattie Carnegie 3. 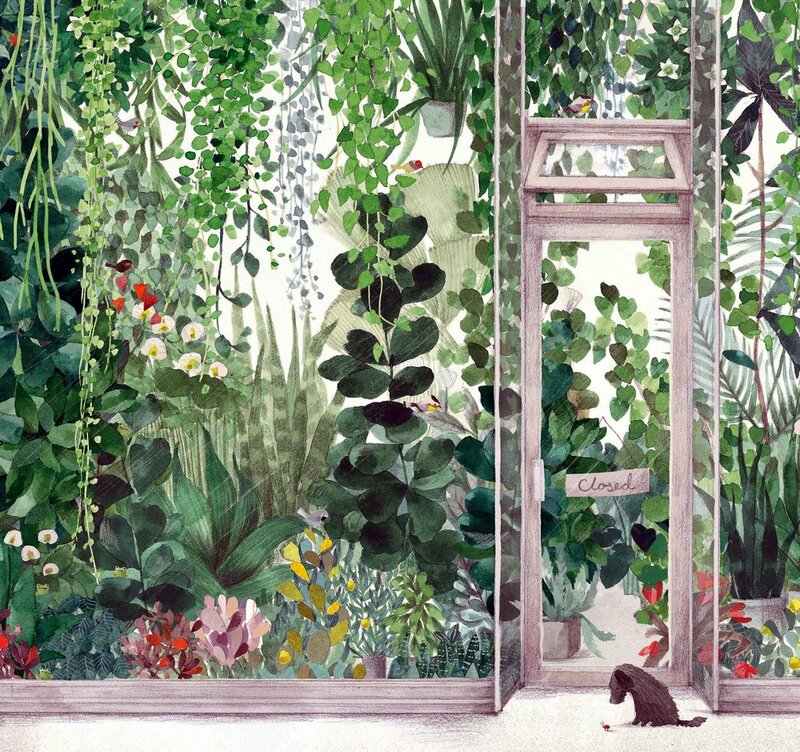 Interior of Elizabeth Arden’s Atelier, Designed by Charles James & Illustrated by Cecil Beaton. 4. Interior of Second Floor Elizabeth Arden Showroom & Salon. Cissy is featured in the mode of Charles James. Both examples are wearing variations of her 1955 No. 2097 gowns. 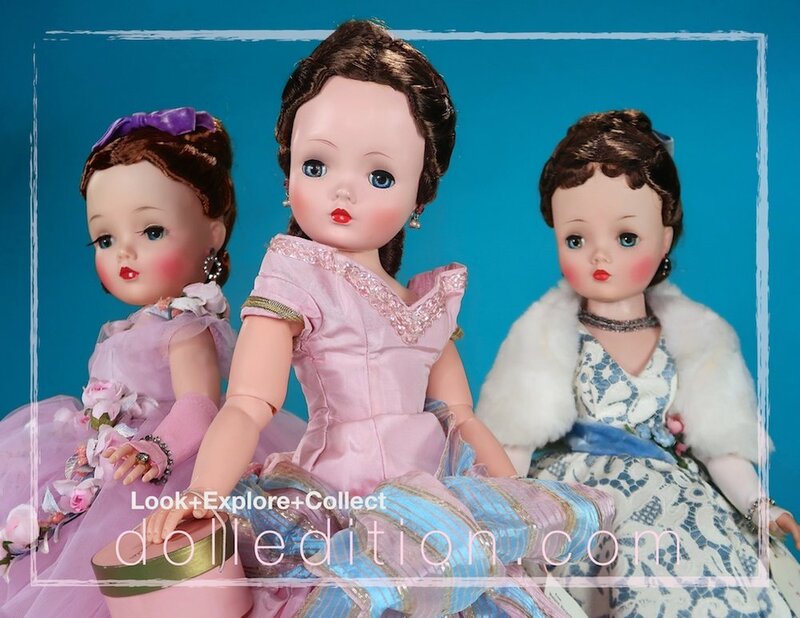 Dolls are by Madame Alexander. 1955 Cissy by Madame Alexander wears the blue version of the No. 2097 gown. 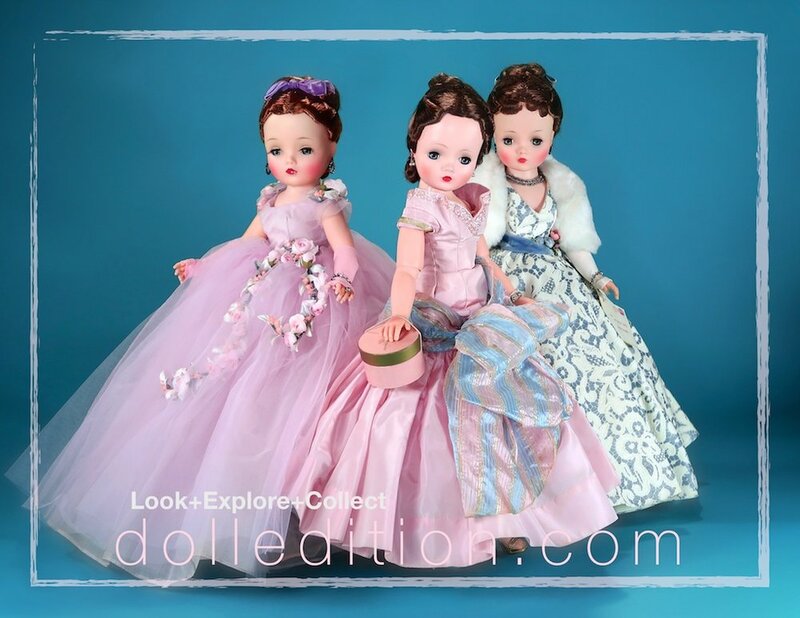 Cissy ushering in 2018 with dolledition.com is celebrating the New Year the way any great fashion doll would - with fashion! Cissy has made a special appearance here and has left her box and photographed. Cissy is very fashionable in this 1956 pink taffeta side-drape gown. Wearing a long torso gown of shell pink taffeta with a beautiful decolletage and diagonal side drapery held in place by jeweled clips. Matching pink roses beautifully frame her face. The whimsical tulle and a floral purse are attached to a rhinestone bracelet. Her jewelry includes a blush pink pearl necklace some of the boxed dolls in the pink side-drape gown wore. Her hips and waistline are all accented and elongated by the prominent side-drape. 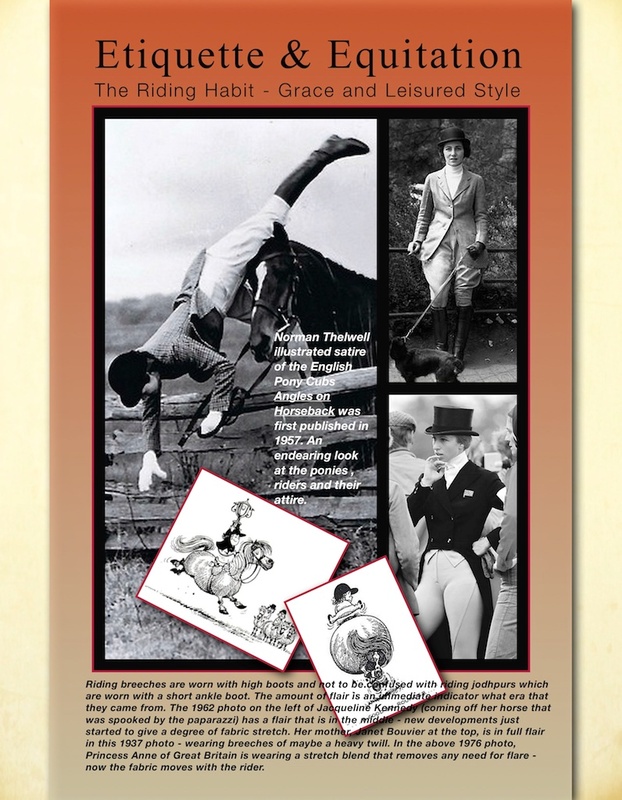 Greco-Roman influence, togas, capes, wraps, Asian and Eastern influence were huge in this mid-century era of fashion. Pink, lavender, and lilac were among the colors favored by designers. 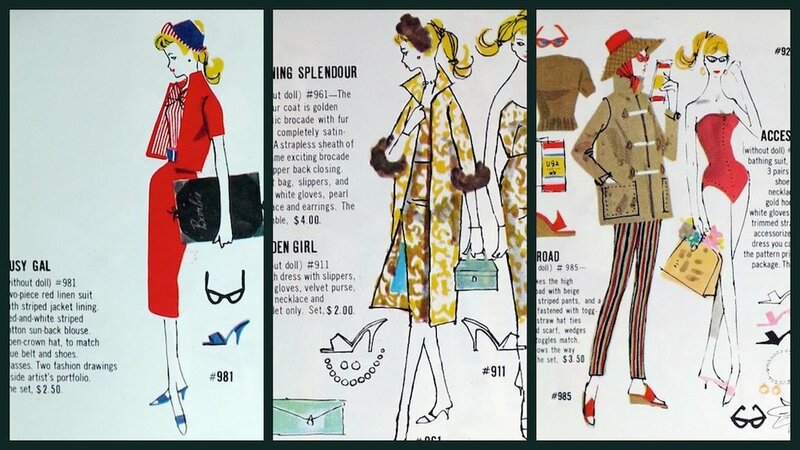 While starting on the Paris runways, many of these trends would then filter into retail, with the robust American market driving fashion in a way never dreamed of before WWII. 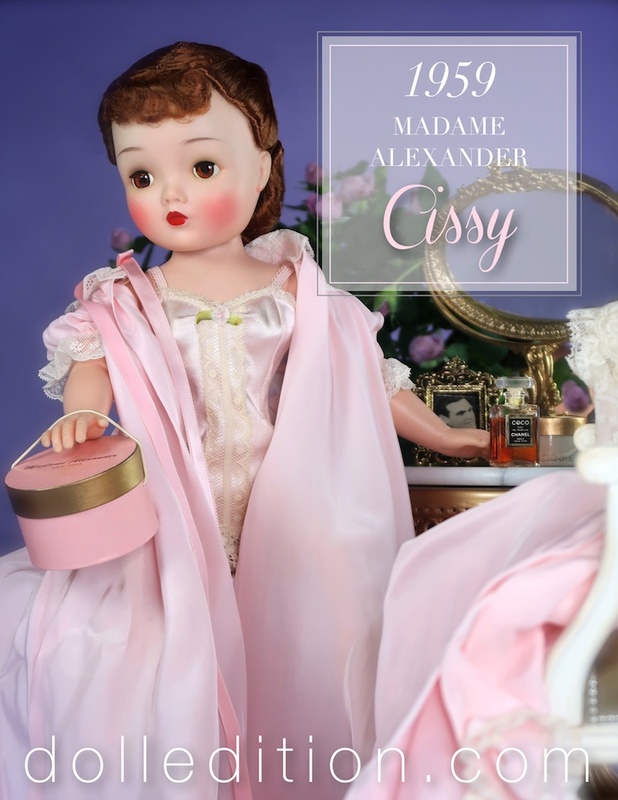 Madame Alexander took many fashion trends for Cissy, explicitly designed as a fashion doll with the right proportions that could properly wear the design coming from Paris that was very structured and demanded a redefined body shape. This would be the last renaissance for couture fashion. Dior would pass away in 1957. Ready to wear, or "prêt-à-porter" would gradually bring in new designers and a younger audience. The 1960s would abandon restrictive form-fitting design for a more relaxed fashion that hugged the body. The whimsical tulle and a floral purse are attached to a rhinestone bracelet. This gown also came as an extra boxed outfit in several colors. Hips and waistline are all accented and elongated by the prominent side-drape. Cissy wears, as described by the 1957 Alexander Doll Company Catalog, an elegant "afternoon gown" of lilac taffeta. Interesting details are the skirts box pleats and the bolero jacket. The taffeta dress is accented with a corsage and accessorized with a lucite purse with accent flowers from the hat. Lilac was a huge color trend of mid-century fashion, and it was a favorite of the Paris runways. 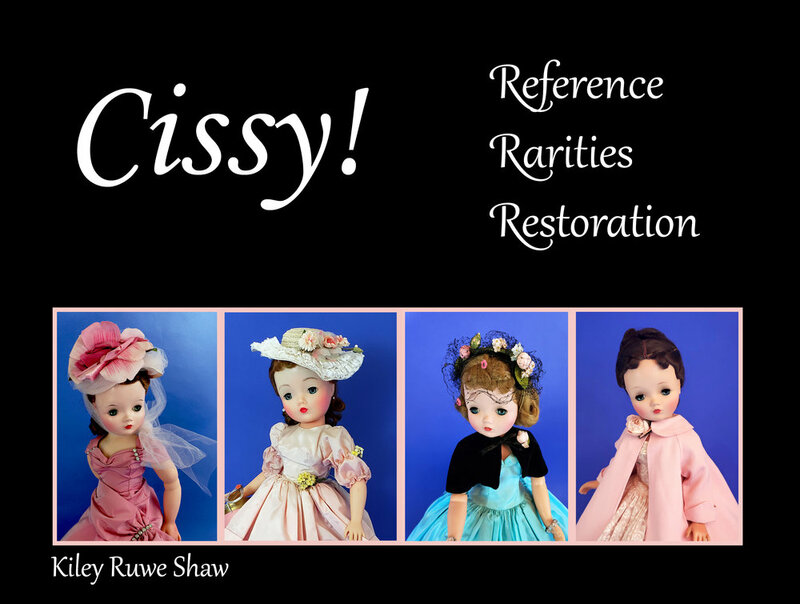 Cissy transitioned from the painted finish dolls of 1955 to mid year 1957 when the infused Cissy's were first introduced. The No. 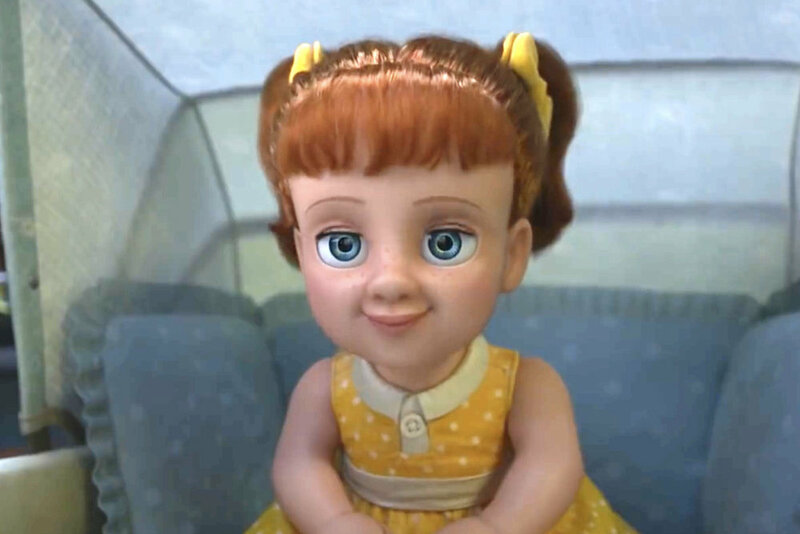 2143 Cissy was made as both types of hard plastic dolls. This is a beautiful example of the infused Cissy of mid-year 1957. To further present the perfect picture of fashion, Cissy has auburn hair with curls that are accommodated by her very chic mushroom style lilac straw hat. Cissy is a vision in lilac taffeta with beautiful floral touches to bring it all together. Cissy No. 2143 - from the 1957 Alexander Doll Company Catalog. In 1958, the company catalog would describe Cissy as a 21" doll. 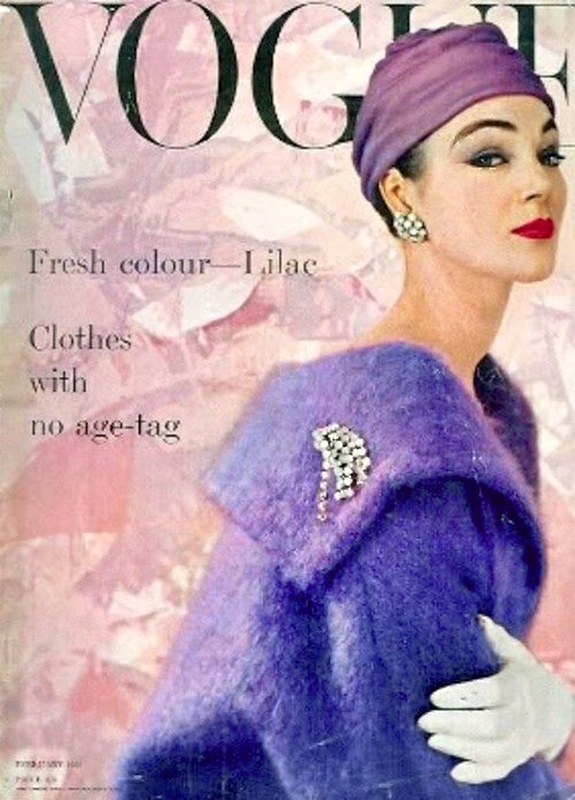 Lilac was a very popular color of mid-century fashion. The very popular mushroom style hat of the 1950s — sometimes this style hat was made in matching fabric of the dress.